For this exhibition catalogue looking at Takeyoshi Tanuma's work in his hometown of Tokyo, I wrote an essay considering his contribution to the effervescence of the photography scene in the postwar years. "Although he has travelled all over the world during a career which now spans over sixty years, Tanuma became a working photographer in Tokyo, his hometown where he still lives today, a city which he has continued to photograph since those early days. Over time he has assembled a remarkable body of work on this constantly changing megalopolis. Through three distinct chapters, each focusing on a different aspect of life in the Japanese capital, this exhibition and its accompanying catalogue reveal Tanuma’s unique approach to documenting his native city. His photographs invite us to reflect on the past, present and future of Tokyo and its people. 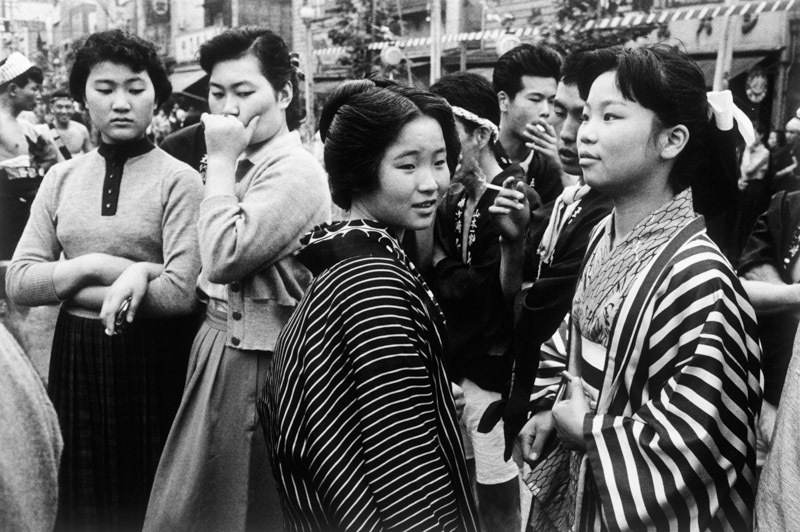 Whether they were taken in the rapidly modernizing area of Ginza or the more traditional district of Asakusa, Tanuma’s photographs are not only important historical documents of a pivotal time in Tokyo’s development but also celebrations of everyday life on the streets of the city."